The Learjet is a light business jet developed from the designs of Bill Lear, it entered production in 1963 and has become the worlds best selling range of corporate aircraft. The Learjet 35 was a turbofan development of the earlier Learjet 25, with a slight increase in fuselage length. The series 36 has more range, but similar dimensions. 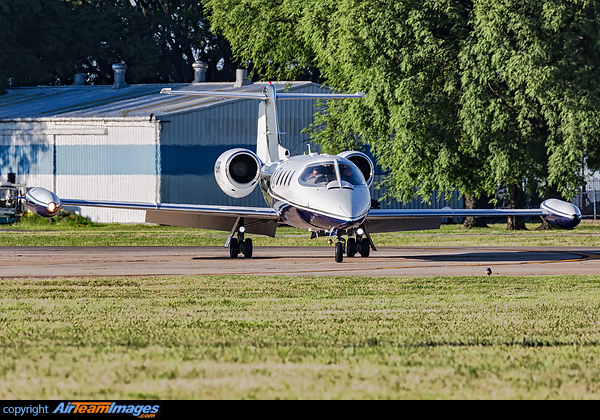 The 35 has been the most numerous Learjet version, it stopped production in 1994. 2 x Garrett TFE 731 (3500 - 4750 lbf) turbofan engines. The 35 and 36 both used the TFE731-2-2B, rated at 3500lb thrust.